«Music… from the depths of the soul excited by artistic inspiration». The most famous Russian critic Vladimir Stasov, graduated from the Imperial School of Jurisprudence in 1843, in his memoirs, wrote that it was 'filled with the sounds of music from one end to the other. Students played many pianos, violins, flutes, cellos, French horns, contrabasses, not only in dormitories, but even <…> in different corners of the corridors'. 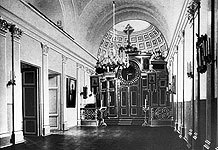 In the palace of the School Guardian, Prince of Oldenburg, the best foreign celebrities performed, the pupils attended their concerts 'for education and development of their taste and notions'. The role of music changed significantly when Tchaikovsky studed there. According to G. Suzor, at this time 'music lessons become official, and the lack of concerts deprives them of their power of attraction. Even pupils' visits to theaters and concerts for educational purposes are limited to holidays, and any additional leaves of absence are not even mentioned'. In other words, this great musical enthusiasm that reigned in the school in the 1830s – 1840s, already was declining. Perhaps, that is why Pyotr Tchaikovsky's contemporaries expressed a variety of views about his music classes during the years when the future great composer studied at the School of Jurisprudence. '…his high school years, not only coincided with the complete stagnation of the development of his musical talent, but in the period of 1852-1859, the growth of the composer as if stoped in all other respects'. V. Gerard remembered Pyotr's improvisations on the piano, and their joint visits to musical theaters. Prince V. Meshchersky retained in memory lessons of Tchaikovsky with Karl Karel who loved music 'passionately with self-forgetful inspiration', as Stasov wrote of him. Meschersky recalled,'Our music teacher, the snow-white haired old German Karel spent many hours with his favorite pupil Pyotr Tchaikovsky, admiring the First glimpses of his talent and his fervent diligence in playing the piano '. What Tchaikovsky himself thought about the musical life of the school and his own role in it remains unknown, because his letters from this time have almost not survived. Only many years later – in late November 1879, in a letter to the influential patron of the arts Nadezhda von Meck, he remembered of singing in the choir at the episcopal service performed in the School of Jurisprudence on the Day of Saint Catherine. 'I have no intimates whose name day is today (the Day of Saint Catherine). But that day evoked my memory of the school's fest. I do not know, as it is now, but in my time, Metropolitan served the Liturgy on the Day of Saint Catherine annually. From the very beginning of the school year we were preparing for the Day of Saint Catherine; choirboys were good in my time. When I was a boy, I had a great voice - soprano, and for several years, I sang the first voice in the trio that is performed at the episcopal service by three boys at the altar, at the beginning and end of the service. The Liturgy, especially at the episcopal service, produced a profound poetic impression on me then (and partly even now). And in fact, if you carefully follow the service, it is impossible not to be touched and shaken by this magnificent sacred act. How proud I was that my singing was part of the divine service! How happy I was when the Metropolitan thanked and blessed us for this singing! Afterwards, we were, usually, put at the same table with the Metropolitan and the Prince of Oldenburg. Later we were let go home, and what a pleasure it was to come home and be proud of my singing exploits and Metropolitan's benevolent attention in front of my people! Then I recollected a wonderful day for the whole year and wished a speedy recurrences of it». 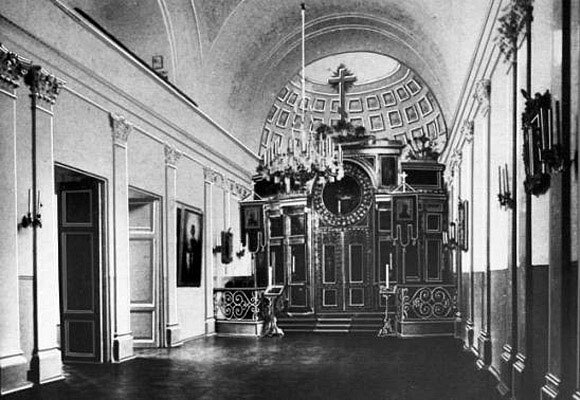 The special solemn Liturgy on the Day of Saint Catherine was performed due to the fact that the church at the school was consecrated in memory of the mother of Duke Peter Georgievich of Oldenburg – Grand Duchess Catherine Pavlovna of Russia, the favorite sister of Tsar Alexander I of Russia. Catherine Pavlovna was the fourth daughter of Tsar Paul I of Russia and his wife Maria Feodorovna. 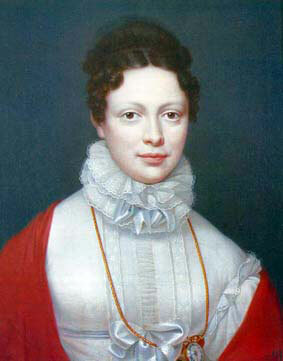 Catherine was first married to Duke George of Oldenburg, four years after the death of her husband Duke George (the father of Peter Georgievich), she married Crown Prince William of Württemberg. Soon William assumed the throne, and she became the Queen of Württemberg. She died on 9 January 1819. 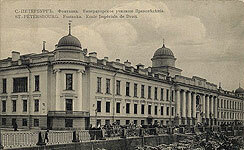 The structure of the church at the school, its location, staff, and other information about it are described in the documents kept in the National Library – – «Bulletin of the Church of Holy Great Martyr Catherine, that is at the Imperial School of Jurisprudence in the Capital City of St. Petersburgе». Among the persons mentioned in the document was Archpriest Mikhail Bogoslovsky & ndash; a man who had a strong influence on Tchaikovsky. Modest Tchaikovsky wrote, 'The picture of a splendid figure of Father Bogoslovsky in a light-blue robe, who once <…> appeared before him and seemed to him unusually fine, remains forever in the memory of Pyotr.' . In the School, Bogoslovsky taught several subjects & ndash; the Scripture lessons, logic and psychology. «Bulletin of the Church of Holy Great Martyr Catherine at the Imperial School of Jurisprudence» in the section «About the clergy of the aforesaid church» gives information about him, clarifying some details of his biography. The «Bulletin», lists the stages of his service up to 1845 and, in addition, contains an indirect characteristic of features of his character, which Stasov described so, – ' an independence, manly directness and purity of intentions'. According to «Bulletin», being appointed a member of the Committee for the review of texts that Theological Academies compiled for Theological Seminaries, he resigned the title, because ' could not follow the course of the Committee's sessions < … > according his conscience and convictions'. Modest Tchaykovsky also tells about good qualities of Bogoslovsky, 'In all respects, among the school <…> staff, he was undoubtedly the most prominent for his scholarship and talent, and integrity, and firmness of opinions'. 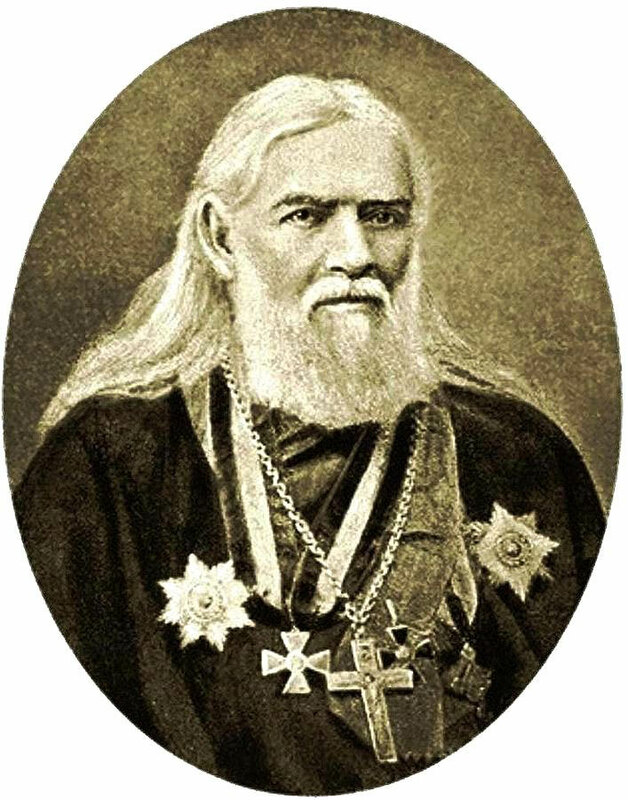 In 1865, after Tchaikovsky had graduated from the School of Jurisprudence, Bogoslovskyy was appointed the chief priest of the army and navy by an imperial order of Emperor Alexander II. 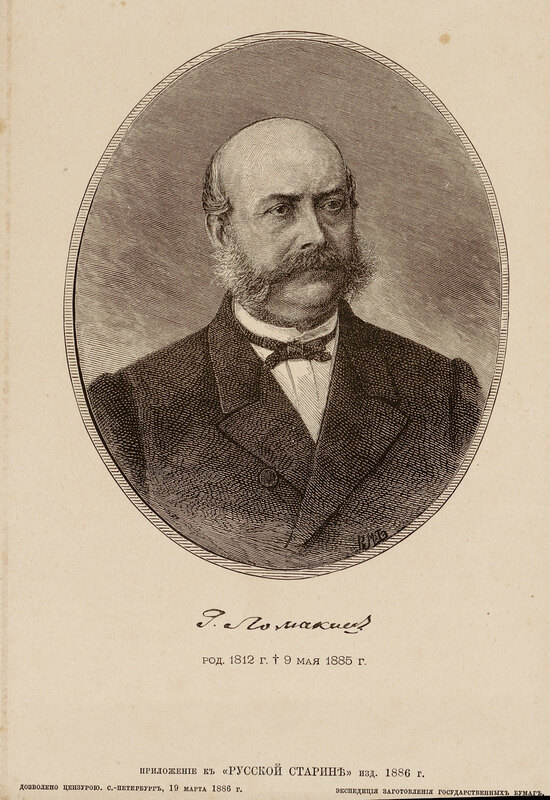 His other teacher, Gavrila Jakimovich (Ioakimovich) Lomakin was also related to worship in the Church of St. Catherine at the School of Jurisprudence. 'From the very beginning of our acquaintance, I < … > very liked him and appreciated his kindness, courtesy, nice treatment, the lack of teacher's despotic methods. Subsequently, I began to value him for his high musical qualities, for love and understanding of music and a rare ability to not only manage and move the choir, but also to achieve profound artistic effects through it'. 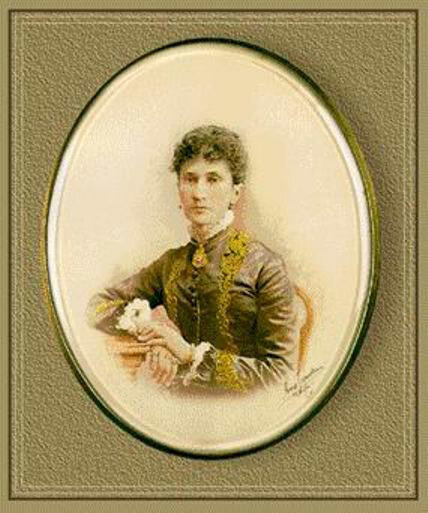 Gavrila Lomakin served as a singing teacher in several schools, moreover, was engaged in preparing choristers in Count Sheremetev's choir, as well as in the Court Imperial Choral Capella. He considered the latter two institutions as the most important in his life, as evidenced by his Autobiographical Notes. He was not attach any importance to the School of Jurisprudence that was not mentioned in this notes at all. At the same time, Lomakin was very responsible and performed his professional duties with all diligence. He addressed one of the few of his manuals to the students of the Imperial School of Jurisprudence («Method for teaching students of the Imperial School of Jurisprudence to sing»). In addition, he composed «The Farewell Song» for a four-part choir of alumni, which Pyotr Tchaikovsky may have sung during the solemn graduation ceremony. Yet Tchaikovsky was largely influenced by not Lomakin's lessons but Bogoslovsky's meaningful and emotionally sermons. According to his brother Modest's recollections, Bogoslovsky's 'sedate, zealous, stately priestly service in the church's worship' made a tremendous impact on Poytr. F. 834. P.I. Tchaikovsky, № 48. Catalogue of P. I. Tchaikovsky's works published by P. I. Jurgenson. – F. 773. G. N. Timofeev, M. V. Janova, № 1156. P. Jurgenson. 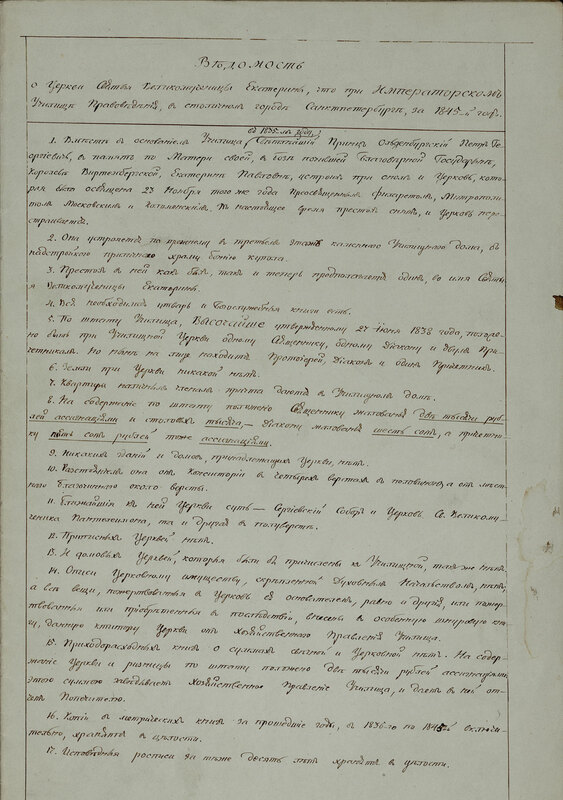 Letter to Stasov dated to 19 December 1894. – F. 738. V. V. Stasov, № 234. F. 834. P.I. Tchaikovsky, № 49. P.I. Tchaikovsky. Pyotr Tchaikovsky. Letter to his Aunt Elizaveta Schobert. 1848. – Ф. 834. P.I. Tchaikovsky, № 2, fols. 3.–3 v.
The house where Elizaveta Schobert's furnished rooms were located. P.I. Tchaikovsky Letter to Frederick Dürbach. 1848. – F. 834. P.I. Tchaikovsky, № 2, fol. 5. Maria Loginova. Maria Loginova. Variations for Piano on a Romance «Why do you become silent». – OSRK. F.XII.27, fol. 3. Maria Loginova. Maria Loginova. Variations for Piano on a Romance «Why do you become silent». 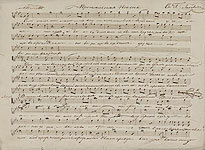 Text of the dedication to Empress Maria Alexandrovna. – OSRK F.XII.27, fol. 2. Mark Palchikov. Cantata «Alexander! The Whole World Glorifies Your Deeds». – OSRK. F.XII.26, fol. 4 об. Mark Palchikov. 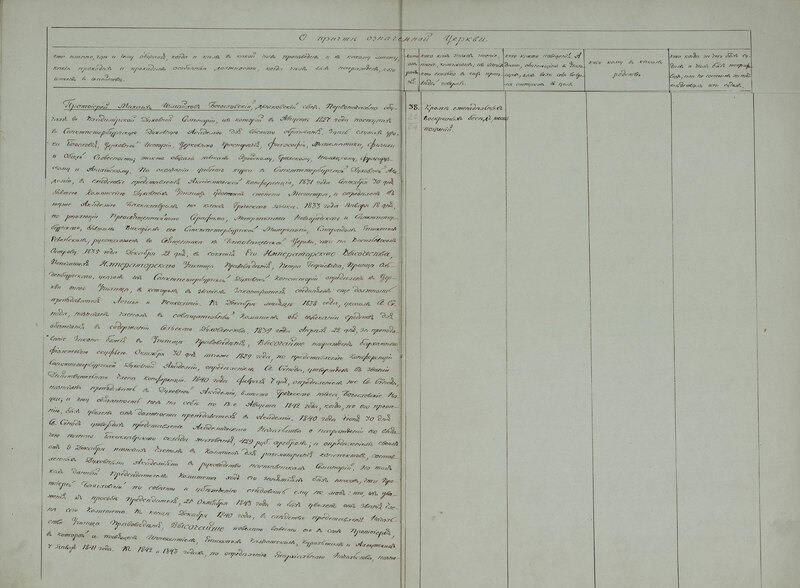 Text of the dedication to Emperor Alexander II. – OSRK. F.XII.26, fol. 2. Mark Palchikov. Text of the dedication to Emperor Alexander II. – OSRK. F.XII.26, fol. 2 v.
Portrait of Maximilian of Leuchtenberg. Mark Palchikov. Mark Palchikov. 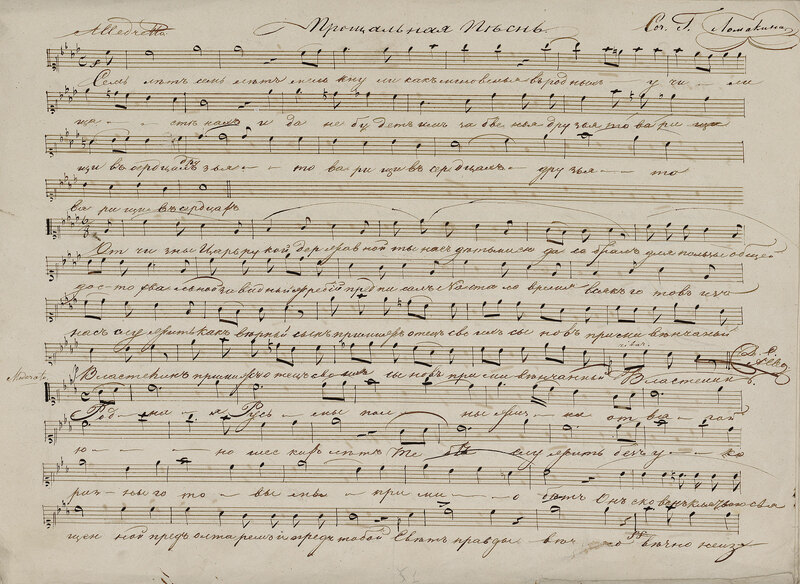 Marsh, composed on the occasion of His Imperial Highness Duke Maximilian Leuchtenberg' visit of the city Malmyzh on 30 August 1845. Moscow, 1846. – ONIiMZ RNB. М 560-4/828. F. 834. P.I. Tchaikovsky, № 38. Vladimir Stasov – a student of the School of Jurisprudence. Church of St. Catherine at the Imperial School of Jurisprudence. «Bulletin of the Church of Holy Great Martyr Catherine at the Imperial School of Jurisprudence». – F. 1000. Collection of individual arrivals, op. 1, № 240, fol. 2–3. Gavrila Lomakin. – F. 816. N.F. Findeyzen, № 3555. Gavrila Lomakin. Farewell Song [ for students of the Imperial School of Jurisprudence]. Part for treble. An authorized copy. – F. 1021. Collection of individual music arrivals, op. 2, № 67, fol. 1. F. 1021. Collection of individual music arrivals, оп. 1, № 8, fol. 46. «O Gladsome Light» based on the Kiev chant in the book Irmologion for liturgical singing. 1759. – OLDP. F.510. F. 384. P.I. Tchaikovsky, № 45, fol. 1. F. 384. P.I. Tchaikovsky, № 45, fols. 1 v.-2. F. 384. P.I. Tchaikovsky, № 45, fol. 2 v.
Pyotr Tchaikovsky. Pyotr Tchaikovsky. Letter to Vladimir Stasov, dated 15 January 1873. – F. 738. V. V. Stasov, № 343, fols. 1–2 v.
P.I. Tchaikovsky The Tempest. Fantasia for Grand Orchestra. Four-, three- and two-lines summary of the composition with directions for its instrumentation. – F. 834. P.I. Tchaikovsky, № 5, fol. 1. P.I. Tchaikovsky The Tempest. Fantasia for Grand Orchestra. Four-, three- and two-lines summary of the composition with directions for its instrumentation. – F. 834. P.I. Tchaikovsky, № 5, fol. 1 v.
P.I. Tchaikovsky The Tempest. Fantasia for Grand Orchestra. Four-, three- and two-lines summary of the composition with directions for its instrumentation. – F. 834. P.I. Tchaikovsky, № 5, fol. 2. F. 384. P.I. Tchaikovsky, № 25, fol. 14. F. 384. P.I. Tchaikovsky, № 19, fol. 23. F. 384. P.I. Tchaikovsky, № 29, fol. 10. F. 384. P.I. Tchaikovsky, № 29, fol. 13. 19 June 1882. Kamenka. Pyotr Tchaikovsky. Letter to Leonty Tkachenko. – F. 384. P.I. Tchaikovsky, № 29, fol. 17. F. 384. P.I. Tchaikovsky, № 29, fol. 26. Pyotr Tchaikovsky. Letter to Lev Davydov, dated to 15 June 1883. – F. 834. P.I. Tchaikovsky, № 19, fol. 45. F. 834. P.I. Tchaikovsky, № 12, fol. 12. 13 September 1885. Klin. Maydanovo. Pyotr Tchaikovsky. Letter to Mily Balakirev. – F. 384. P.I. Tchaikovsky, № 12, fol. 21. 21 November 1885. Klin. Maydanovo. Pyotr Tchaikovsky. Letter to Mily Balakirev. – F. 384. P.I. Tchaikovsky, № 12, fol. 28. 11 March 1887. Pyotr Tchaikovsky. Letter to Mily Balakirev. – F. 384. P.I. Tchaikovsky, № 12, fol. 37. F. 738. V. Stasov, № 343, fol. 62. 1 August 1888. Frolovskoe. Pyotr Tchaikovsky. Letter to Vladimir Vasiliev-Shilovsky. – F. 384. P.I. Tchaikovsky, № 14, fol. 18. 21 April 1884. Kamenka. Pyotr Tchaikovsky. Letter to Anna Alexandrova-Levenson. – F. 384. P.I. Tchaikovsky, № 9, fol. 1. 23 June 1884. Grankino. Pyotr Tchaikovsky. Letter to Lev Davydov. – F. 384. P.I. Tchaikovsky, № 19, fol. 49. 9 November 1887. Pyotr Tchaikovsky. Letter to [Peterson?] written on the paper with the monogram of his elder brother Nikolay. – F. 654. N. G. Rubinstein, № 118. F. 834. P.I. Tchaikovsky, № 36, fol. 52. F. 834. P.I. Tchaikovsky, № 54. F. 965. 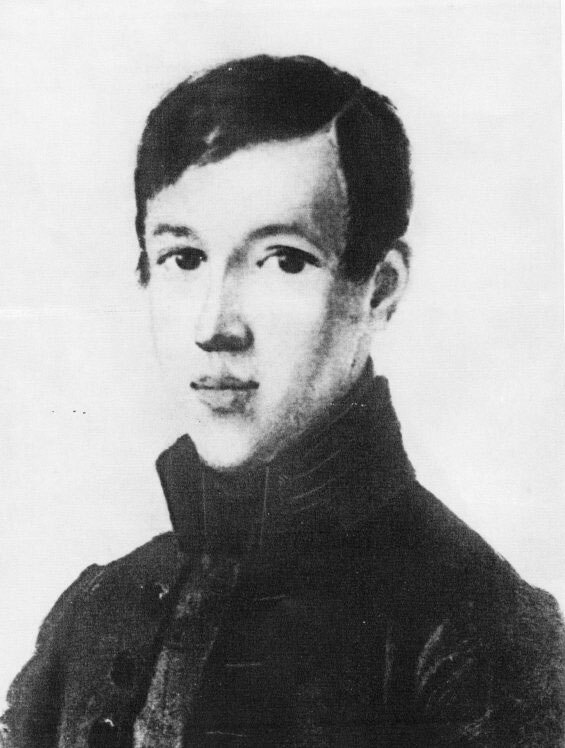 P. Vaksel, № 1143. F. 1175. V. and Ju. Prokofievs, № 359, fol. 3. Vsevolod Prokofiev. Letter to Nikolay Zhegin dated to 16 March 1936. – F. 1175. V. and Ju. Prokofievs, № 348, fol. 1. Nikolay Zhegin. Letter to Vsevolod Prokofiev. 22 March 1936. – F. 1175. V. and Ju. Prokofievs, № 353. F. 1575. I. Semenov, № 232. Pyotr Tchaikovsky. Iolanta's Arioso from the opera of the same name. Fragment. – F. 834. P.I. Tchaikovsky, № 6. Maria Anderson in the role of the Wite Cat in the ballet «The Sleeping Beauty». – F. 1021. Collection of individual music arrivals, оп. 4, № 5, fol. 30. Photographic portraits of Pyotr Tchaikovsky and Maria Anderson, pasted in her notebook. – F. 1021. Collection of individual music arrivals, op. 4, № 5, fol. 29 v.
Pyotr Tchaikovsky with Nikolay and Medeya Figners. – F. 1534. N. and R. Figners, № 176. Nikolay Figners in the role of Lensky in the Pyotr Tchaikovsky opera «Eugene Onegin». – F. 1534. N. and R. Figners, № 155, fols. 1–3. Medeya Figner in the role of Tatyana in the Pyotr Tchaikovsky opera «Eugene Onegin». 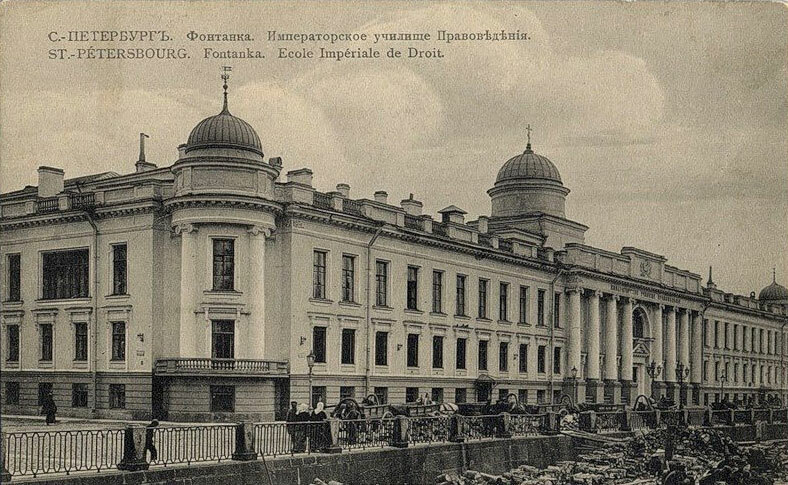 Mariinsky Theatre, St. Petersburg, 1880s. – F. 1534. N. and R. Figners, № 179, fols. 1–2. Leonid Sobinov in the role of Onegin in the Pyotr Tchaikovsky opera «Eugene Onegin». 1900s. – F. 1575. B. Semenov, № 178. Alexander Smirnov as Lensky in the Pyotr Tchaikovsky opera «Eugene Onegin». 1903. – F. 1033. E. Vizel, № 288. Konstantin Serebryakov as Gremin in the Pyotr Tchaikovsky opera «Eugene Onegin». 1903. – F. 1033. E. Vizel, № 286. Nikolay Pechkovsky as Herman in the Pyotr Tchaikovsky opera «The Queen of Spades». 1930. – F. 1033. E. Vizel, № 284.